This War of Mine, the game that aims to realistically portrait the brutality of war, is now available on mobile phones too due to high demand from the player base as the mobile version of the title was only available for tablets. The theme of hopelessness and despair is rooted inside every aspect of the game, including its difficulty. 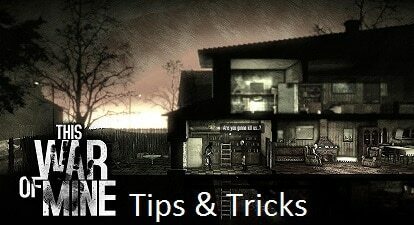 This War of Mine is a punishing affair so I would like to share a few basic things about the way things work inside the game’s version of the Siege of Sarajevo in order to make things just a bit easier for everyone. You should also read Dan’s review for an in-depth look into the game! 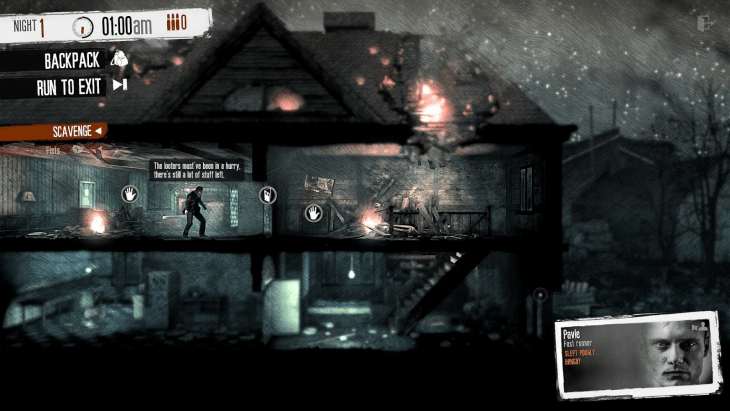 When people say that This War of Mine is a hard game, they are not kidding around. This is a title about regular people trying to survive in the midst of a war which affects pretty much everything they have to do in order to survive. When you think of it this way, you will not feel so bad when your first few attempts end in everyone dying. In fact, I feel confident saying that this is part of the game’s allure, a reminder that surviving takes skills, knowledge and a fair amount of luck. Though nothing can help you with that last part, you will acquire the other two in time. Just try to have fun and forget about “completing” the game for the first few tries. Survivors are the characters that you control in the game and all of them have their own background, traits, morale codes, skills and needs that you have to attend to. 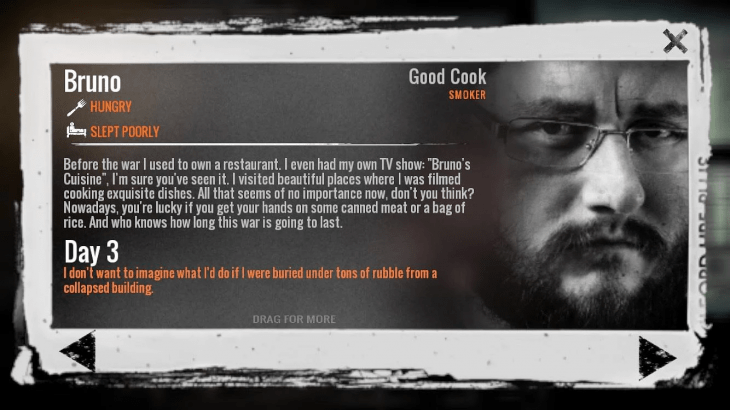 For instance, Bruno has the “Good Cook” trait which allows him to use less items when cooking and making alcohol. This is incredibly useful, especially in your early times with the game. Of course, nothing is free in this world so Bruno is not exactly great at other activities, not to mention that he is a smoker which means you will have to keep cigarettes for his own use instead of trading them. Do note that while knowing what each survivor is good at will help you with in-game tasks, learning about their personalities and their stories is a huge part of the game and a very entertaining way to pass the time though it will definitely get depressing at times. Beds: The formula for beds is N-1 where N is the number of survivors you are playing with. Technically, a single bed can alleviate the Tired status of two survivors in a single day but things become much easier with two beds which are not heavy on the materials anyway. Rainwater Collector: This is an absolutely essential tool that will give you Clean Water, a material that will be used for Cooked Meals, making alcohol and growing your veggies. Try to also add a second rainwater collector when you get the hang of it. Stove: The stove and the rainwater collector go hand-in-hand as this is where you will cook using food and the clean water you have gathered from the collector. I cannot overstate the importance of Cooked Meals as they are much more filling than raw food, not to mention that they cannot be stolen during the raids in contrast to raw materials. You should also avoid making single meals as they will use more precious resources. Finally, the Stove will be used to freeze snow that you will shovel in the winter in order to make water as the rainwater collector will freeze and become unusable during that time. Metal Workshop: Though hugely important, this is not always a structure that you should build immediately. Its main purpose, especially in the beginning of the game, is to create crowbars and shovels which you can use to pry open doors and dig through rubble respectively. While those are important actions, both items can sometimes be found in your first days of scavenging. Furthermore, the rubble you will encounter at the start can be cleared out by hand in a couple of days so dedicating time for that can save you resources. Radio: Build one as soon as you think you can afford it. The radio will inform you about incoming cold weather, item scarcities (when their prices go sky high), military activities and a bunch of other things that will help you prepare much better. If you have no clue about when those events will happen, you will have a far worse time without a doubt. Being smart while scavenging means the difference between life and death, both when it comes to managing your resources and surviving hostile situations. When you visit a location, find a pile located as close to the entrance as possible. Check it but do not remove all items from inside. Instead, feel free to explore the area and fill up your backup. Once it is full, head back to that pile and put everything in there. This will save you tremendous amounts of times as you will not have to go through the area again and again. Try to remember what you need the most and simply take things when needed. If you plan to visit a location multiple times in succession, it is generally a good idea to try and clear out rubble and unlock everything during the first day. While you are doing that, make sure to fill up your backpack too, at least with the most important materials. Remember that anything you do not stash somewhere will be gone the following day so do not leave things lying around. 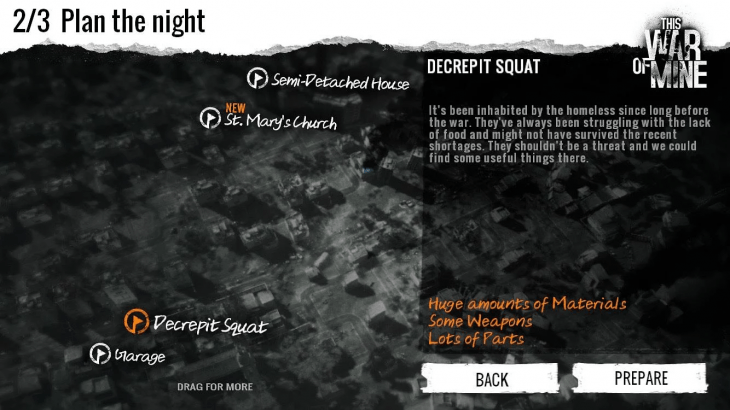 All areas that you visit and scavenge will visited and scavenged by other survivors too. This means that you have to be smart about going in and taking as many valuable items as you can. With that said, you do not always have to hurry as the looters will take at least 3-4 days before taking everything from the area. Your survivor needs to leave the area before 5 AM, otherwise they will get stuck in there and will not be able to return home until later. During this time they will be vulnerable to hostiles. Usually, running back at 4 AM will work just fine but whenever you are deep inside an area, try to run back before that. Missing the exit can definitely break your game so you should never forget that. Try not to leave an area without your backpack full unless it is absolutely necessary. For instance, if you get discovered and are about to get attacked, the items are not worth it. Your survivors need to avoid conflict as much as possible as treating their minds and bodies is not an easy task. While you are out scavenging, your home can get raided by hostiles. This means that most items you have in your shelter can get stolen, aside from a few exceptions like cooked meals. Always keep someone on guard, especially during the first few days. The chances of getting raided during the very first night are extremely slim so you should not start worrying about that until the next day has arrived. This should help combat raiders during the early days as they are usually moderately aggressive only. 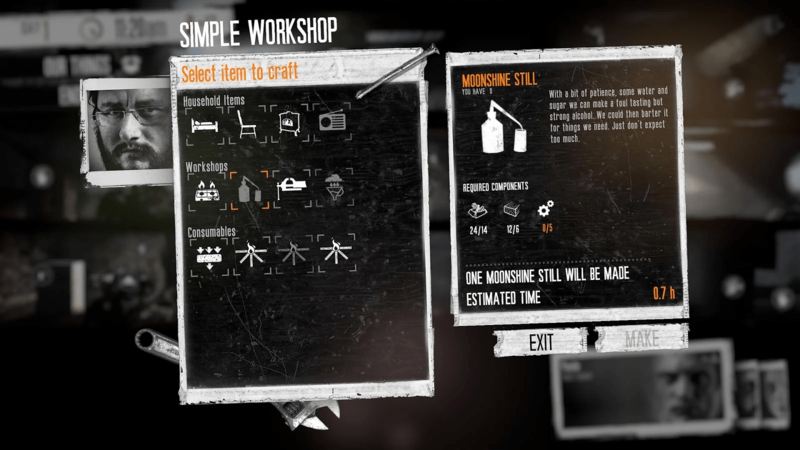 Upgrade the workshop as soon as possible so that you can “Board Up” holes and windows in your shelter. Building three of those will help with your defenses immensely. In fact, the impact is so huge that you will not always need to have people protecting the building though you should still try to assign people for guard duty. When you have gathered a fair amount of resources, try to get the Advanced Workshop so you can build a Reinforced Door too. Sometime in the game you will encounter the “Outbreak of crime” event, a period where raids become a part of everyday life. On top of that, raids are far more aggressive and there is a pretty good chance your survivors will robbed, injured, or both. During that time you should prioritize boarding up the building and then placing two people at guard duty. Having a weapon, a reinforced building and someone who knows about combat is extremely important so just do your best to survive the event and things will get back to normal in a matter of days. 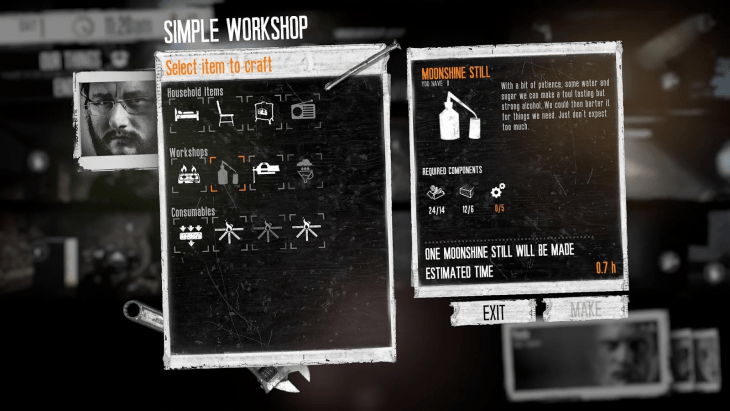 Your survivors should sleep for a few hours during the day and then be assigned various tasks, including building items in the house and cooking. Sleep should be a priority when everything is going well but missing sleep is not the end of the world, especially when you are dealing with an in-game event. Just because you are at war it does not mean your survivors should spend every day in misery. When the characters get sad or even depressed, their mood has a negative impact on virtually everything they do so keeping them neutral (and later content) is vital. There is a section in “Our Things” called “Some Thoughts”. This journal-like item holds suggestions and thoughts from the survivors which you should absolutely take into account when managing your shelter. They will tell you what they are missing the most, how well their needs are being tended to and even offer some basic suggestions on what you should do next. Finally, the journal can be used as a barebones rating tool for you as survivors will comment on things like the defense of the shelter so that you know which areas you need to improve. Books are obviously great as fuel for your fires but that is far from their only purpose. You just need a chair so that your survivors can sit down and read. This will not only delay sadness but may even help alleviate it. The more books you have, the happier your survivors will be. Addictions should not be neglected. If a character is a smoker but you never provide them with cigarettes, they will definitely get sad or at least it will have an effect on their overall mood when combined with other events. It is not all gloomy though because when you do tend to their needs, they are actually happy about it which means you can use them for other actions. Certain characters can play the guitar which is instrumental in keeping morale high and helping with depression. Zlata is the best at it since she was even accepted to the music academy but Arica, Katia and Roman can all play fairly well too. Pavle is also an amateur guitar player but if you have any of the other characters it is better to use them for this task as he is not that great at it. Interactions with NPC characters play a major part in the mood of your survivors. For instance, most of your characters like it when you help other survivors and they get sad when you turn them away. Some characters, such as Arica, take no issue with killing certain NPCs such as soldiers whereas others will get severely depressed if they have to murder someone. 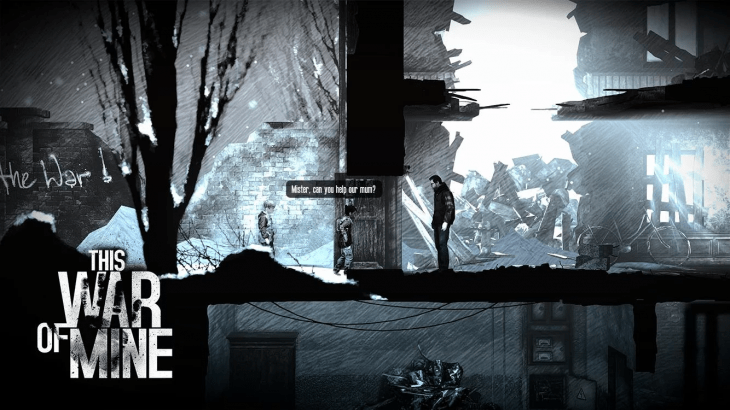 Most of the early time you spend with This War of Mine will be all about learning how things work, which survivors are best suited to your way of playing and everything else you need to know in order stop dying so fast. Once you feel comfortable with the in-game mechanics, aiming for long-term survival and the actual completion of the game is the next logical step. Two Traps for Small Animals and a Vegetable Garden are virtually everything you need food-wise in order to survive. Four vegetables and four raw food (which you get from the traps) can yield 8 cooked meals. Seeing as how your survivors can easily make it with a single portion every two days, you can see where I am going with this. Even days where your survivors will need more food will not be as troubling when you have a relatively stable source of food. Being unprepared for Winter will most likely result in heavy losses which you cannot really take in this game. When the radio informs you that winter is coming you should already have most of the things you need to survive so you will need to start gathering items for the winter. Grab a hatchet and smash as many things as you can. During runs, make sure to only gather fuel and leave wood behind as it is a much more precious commodity. You can also chop down a lot of furniture inside your own shelter. Scavenging will not always be a viable option. Becoming as self-sufficient as possible is crucial but you will still need to deal with traders in order to get things you need such as some extra fuel during the winter or bandages/meds for your survivors. Even better, a lot of the things you can make (such as moonshine) can easily be traded for items you cannot easily acquire. Each NPC has different trade values and some will be very specific about what they want. A trader called Franko will make regular visits in your shelter so make sure to plan for that as well. I think that we have already covered most of the important information but there are some still some general tips that you should heed as they will help you throughout the game. Combat should be avoided but not at all costs as getting into a fight will sometimes yield incredible rewards. For instance, one of the very best ways to get weapons and ammunition is to raid the Military Outpost. With someone like Arica, this can be accomplished in stealth so that you leave behind a trail of silent, gruesome death. If you want to wipe out an entire military establishment, however, you will need to learn about backstabbing, moving in the shadows and making no sound, all of which take some practice. On the note above, getting into firefights is one of the easiest ways to get serious injuries and the risk is almost never worth it. Even when you have an armored vest, a helmet and a decent weapon, firefights will still end in heavy damage. With that said, standing near the top of a ladder can make this a piece of cake as you can shoot climbing enemies to make them fall back down and slowly kill them in the process. Pay extra attention to the various special events happening in the world. Some events, like helping survivors, are entirely optional but skipping them means missing out on substantial rewards. Other events, such as the outbreak of crime I told you about above, cannot be skipped so you will have to be prepared to face them beforehand as they can completely change the course of the game. Tempting as it may be, never sell Electronic Parts. No reason you might think of is good enough as they are the rarest components in the game and you will need them to build items such as the radio and the reinforced door. They are also necessary components when upgrading Workshops so stuff them somewhere and remember that you will need them later. Most actions in This War of Mine have tangible consequences. Looting, for instance, is not treated like an in-game mechanic but rather a fundamental part of how you approach the game. Stealing something from an innocent person, for example, might make your survivors depressed or it may lead to a fight that you cannot win. Of course, experimenting is the only way to beat this game in my experience so do not always be afraid to cross boundaries. This is pretty much it as I believe we have covered most of the areas necessary for survival. There are plenty of other things you will learn in time, including details about the survivors, the areas you can scavenge, the people you meet and more. If you have any questions, comments or concerns, drop a comment down below or visit the forum for more in-depth discussions!